American Dream Fund San Francisco Regional Center, LLC (ADF-San Francisco) was approved by USCIS on March 7, 2014. ADF-San Francisco’s regional center geography not only includes the City of San Francisco (as well as San Francisco County) but also the neighboring counties of Alameda, Contra Costa, Marin and San Mateo. San Francisco is the cultural, commercial, and financial center of Northern California. 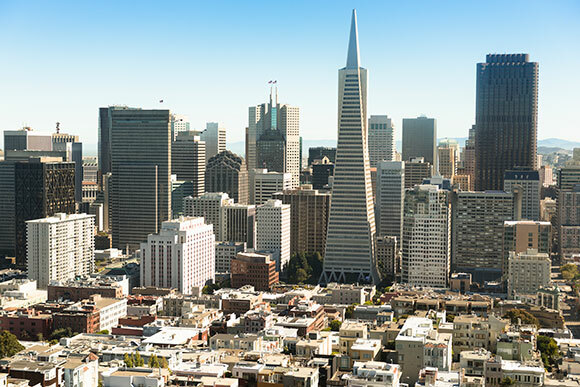 San Francisco has a diversified economy, with employment spread across a wide range of professional services, including financial services, tourism, and high technology. San Francisco’s coastal location and natural harbor have made it an important shipping center throughout its history, and it is still one of the major port cities on the West Coast. 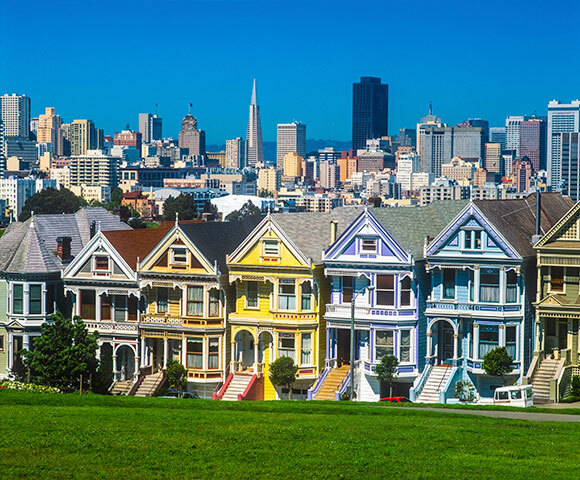 Since the nineteenth century, San Francisco has been known as a financial center. Today it is home to leading banks (Wells Fargo) and insurance companies (TransAmerica, Fireman’s Fund) and the site of the Pacific Stock Exchange, as well as branches of the Federal Reserve and United States Mint. Some 500 Fortune 500 companies are headquartered in the city, including Charles Schwab & Co., Bechtel Engineering, Chevron Oil, and Levi Strauss & Co. With over 30 international financial institutions, six Fortune 500 companies, and a large support infrastructure of professional services — including law, public relations, architecture and design — San Francisco is ranked in 10th place among the top global financial centers. San Francisco’s newest growth areas are computers and electronics, and biotechnology. The city’s history of involvement in defense-related industries and its location near such high-tech centers as Stanford University and the famed Silicon Valley have created a boom in computers, scientific instrument, and other electronics fields. Home of the pioneering Genentech firm, founded in the 1970s, San Francisco is also on the cutting edge of the biotechnology industry, with some 500 companies in the area specializing in pharmaceuticals, medical electronics, bionics, and related areas. Universities in the San Francisco area have also been ranked among the nation’s highest. The Times Higher Education World University Rankings 2014-2015 list places the University of California Berkeley (UC Berkeley) and Stanford University within the top ten. For more information about American Dream Fund San Francisco EB-5 Regional Center or EB-5 investment, contact us at inquiry@adreamfund.com.